Three hours north of Los Angeles there's a quaint Central Coast town quickly earning a reputation as "Little L.A." — Los Alamos. Here, the main drag isn't Sunset or Wilshire, but Bell Street — a handful of small-town blocks dotted with ever-more interesting places to wine, dine, and spend time, just off the 101 Freeway. 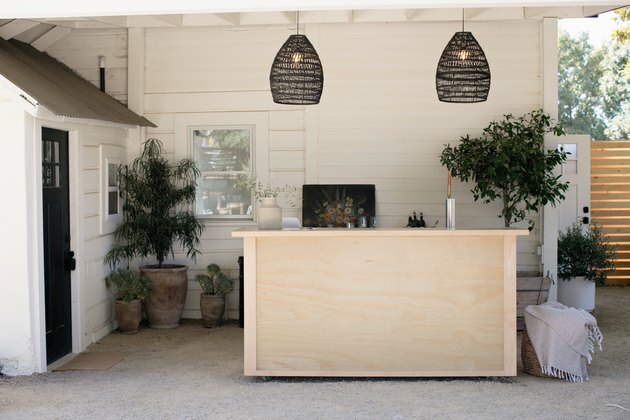 At the corner of Bell and St. Joseph Streets, on a prime 7,840-square-foot corner lot, sits Bodega Los Alamos, a new alfresco wine and beer garden, with a petite, curated retail shop, greenhouse, and (coming soon) a two-bedroom Airbnb, all with a distinctly modern farmhouse aesthetic. 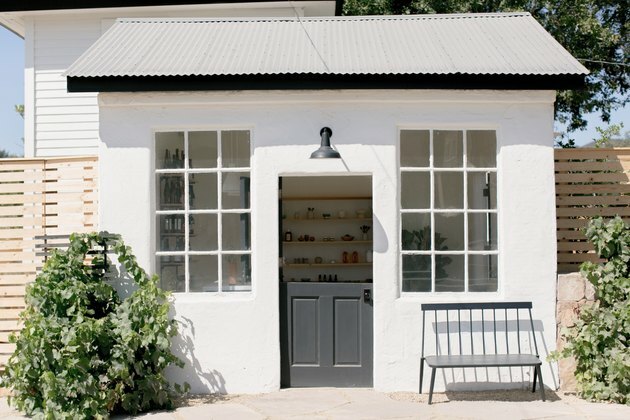 One key inspiration for the look and feel is the sort of upstate New York retreat familiar to the three couples who launched Bodega Los Alamos earlier this summer — Alana and Kristopher Stipech, of Brooklyn, New York; George and April Garcia of San Luis Obispo; and Cory and Lauren O'Keefe, of nearby Arroyo Grande. 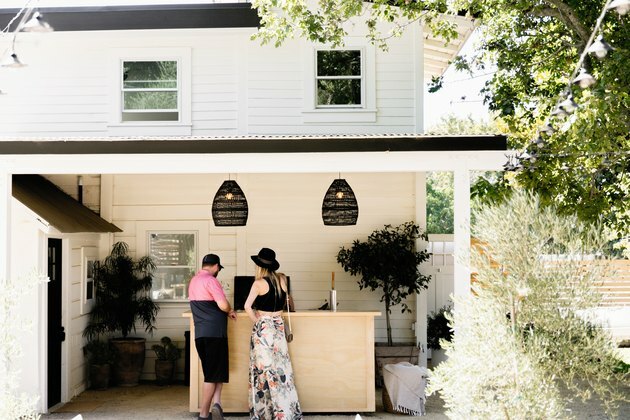 The various buildings on the lot date back to the 1920s, but feel of-the-moment with the help of crisp black and white paint, modern fencing, lighting, and fresh, understated landscaping. 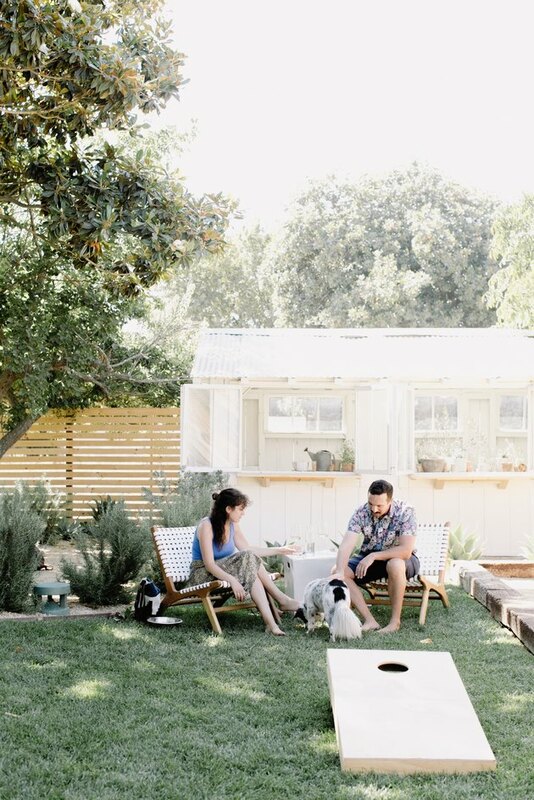 The group took what was there — a small retail space in the front, a greenhouse, and an ample open-air space framed by mature oak trees — and remade it with one ethos in mind: It should feel like an extension of their own backyards. So there are long communal tables. There's a bocce court and corn hole. A fire pit. Plenty of room to relax over a carafe of local wine or craft beer, or food from nearby Bell's, a similarly new dining establishment opened by alums of Per Se. "We wanted it to feel like an elevated version of itself," says O'Keefe. "And to pay homage to what it used to be." Their collective talent — across design, architecture, photography, and marketing — helped bring the mixed-used space to fruition in an impressive three months. "It had been vacant for a while," says O'Keefe, now the on-site managing partner. The property even had the original outhouse. "We had to really paint the vision for everybody in the group of what it could be." The result? A true gathering place. "It was always the goal but we were still surprised how the the space draws people together, for strangers to get to know each other," says O'Keefe. Visitors enter through the retail shop on Bell Street. 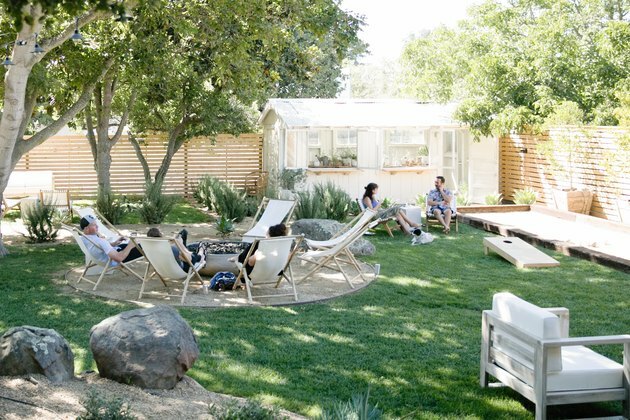 Bodega Los Alamos features a quirky and approachable array of wines, many of them organic, natural, or biodynamic. 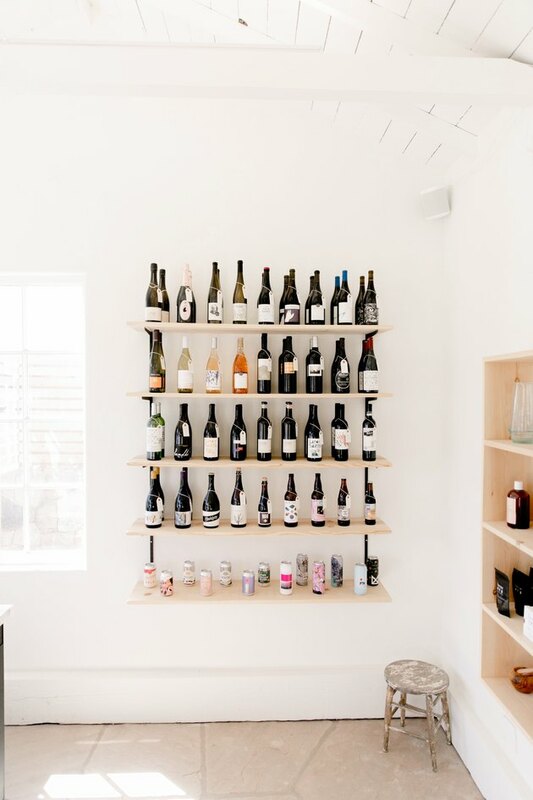 "We are surrounded by such beautiful wine regions," says O'Keefe, who also serves as Bodega's wine and beer director. "And we are also pushing the boundaries a little bit." The retail shop also features a tightly curated array of home goods. 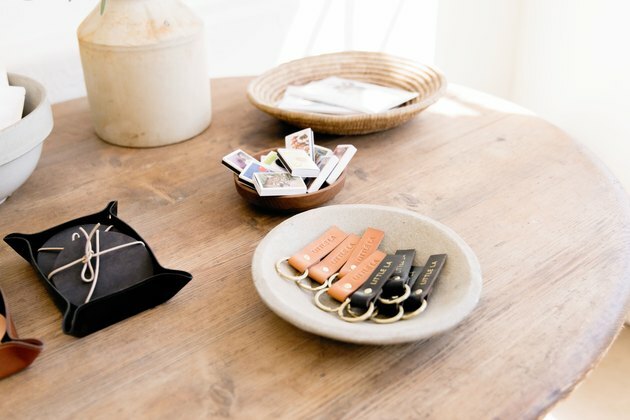 The goal is to bring in beautiful handmade items one might only find in New York or Los Angeles. The greenhouse is original to the property. 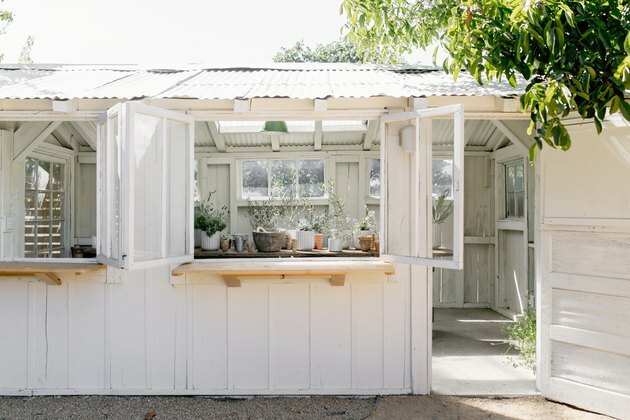 It now houses potted plants for sale — as well as sheep's milk ice cream sandwiches and six-ounce scoops from Negranti Creamery in nearby Paso Robles. 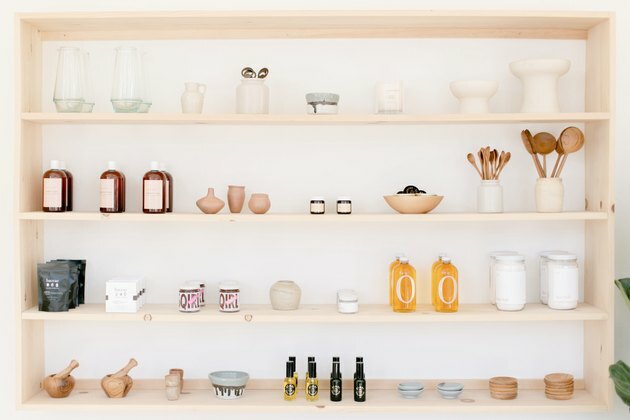 "We wanted to have this nice blend of new and minimal and clean and modern but also found goods, so we traipsed around antique stores, including one in town called Sisters, which is just down the street," says O'Keefe. The well-worn French table in the greenhouse came from one of Sisters' antique fairs — and happens to be from a woman who lives right there in Los Alamos. "It's kind of special for us to be able to take something from people in the area, and put it into our place — to give that back to the community in a way," says O'Keefe. 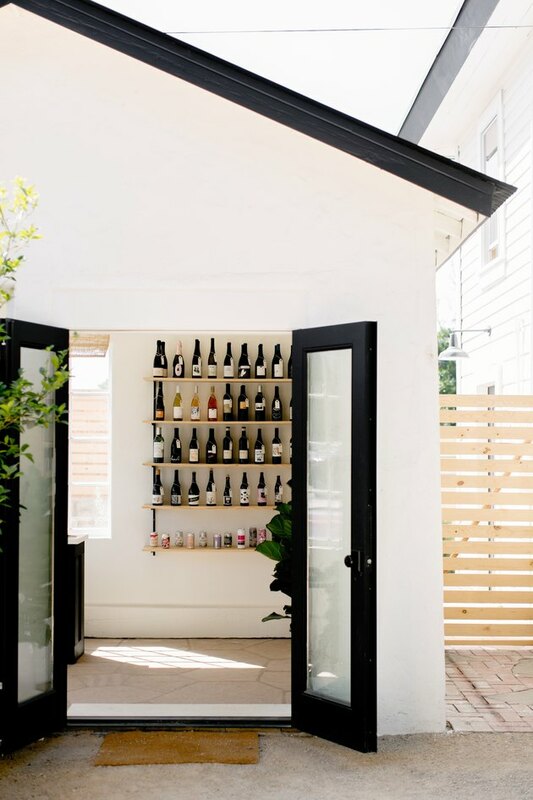 The garden bar anchors the outdoor space. While the landscaping is new, the oak trees are the true stars of the outdoor space. "These beautiful oak trees have been there for who knows how long," says O'Keefe. "They make it a little bit of an oasis." "It's an exciting time in Los Alamos and we are happy to be a part of it," says O'Keefe. "We wanted this space to have a certain feeling to it. You can tell it has a lot of heart when you walk in."